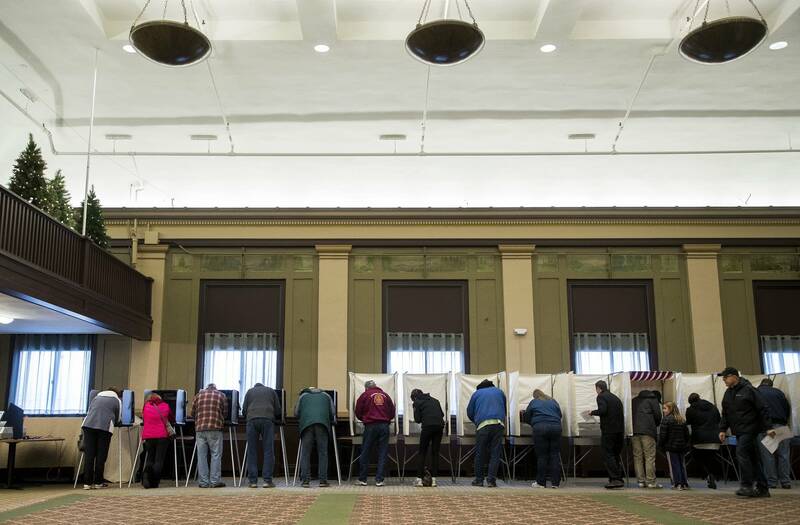 More than 2.6 million Minnesotans cast ballots in this month's election, short of the 2.9 million who voted two years ago, but still good enough to hit 64.25 percent of eligible voters and once again lead the nation. State officials certified the election results Tuesday. Minnesota Secretary of State Steve Simon, who chairs the state canvassing board, noted that it was the second election in a row that Minnesota voters led the nation. "We were No. 1, and not by a little bit. We beat the second-place finisher, the state of Colorado, by over a full percentage point, which in election terms is a lot," he said. It's the highest percentage turnout in a non-presidential election in Minnesota since 2002, and the highest total number of midterm voters ever, Simon noted. One race from the Nov. 6 election remains to be resolved: A recount is scheduled Monday in Bemidji for Minnesota House District 5A. That's where DFL candidate John Persell unofficially defeated incumbent Republican Representative Matt Bliss by just eight votes. Persell previously held the seat and was defeated by Bliss in 2016. A publicly funded recount in a legislative election can occur when the margin is less than half of 1 percent. Candidates can also request a recount at their own expense, if the margin is greater. But there are no pending requests. The canvassing board will reconvene on Dec. 17 to certify the results of the District 5A recount. The board also confirmed that two political parties passed the threshold to become major parties. The Grassroots-Legalize Cannabis Party and the Legal Marijuana Now Party both managed to garner at least 5 percent of the vote and a vote in every county in the statewide attorney general and state auditor races, respectively.